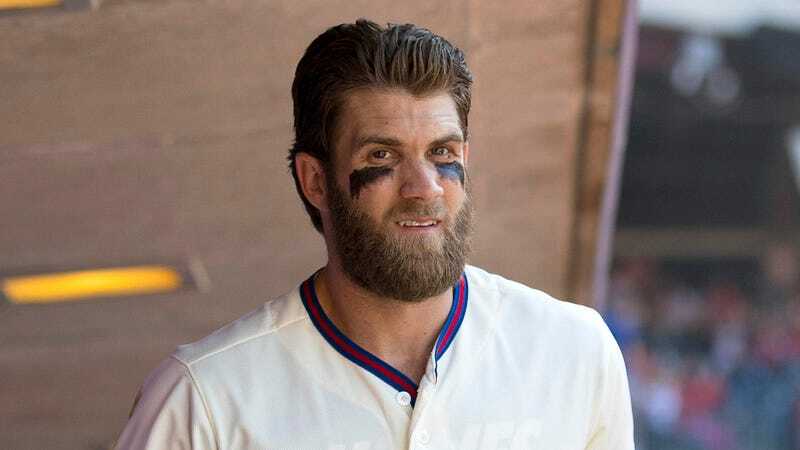 PHILADELPHIA—Worried that he should have warned them about the trip during contract negotiations, Bryce Harper told Philadelphia Phillies general manager Matt Klentak Wednesday that he would be missing two weeks in the middle of August for a vacation he had planned before joining the team. “It’s tough because I already got plane tickets, which are pretty expensive, not to mention the eight-day cruise around the Cayman Islands. There’s just no way I can back out now,” said Harper, claiming he had booked the trip weeks before signing a 13-year, $300-million contract with the team after finding a deal on Priceline that was too good to pass up. “We already booked a scuba diving excursion and put down a deposit for a beach cabana. I hate to put them in a tough spot like this, but I didn’t really know if I was going to be signing with anybody this year when I made all the travel arrangements. My family is so excited about the trip, it would kill them if I had to back out. Things like this just happen sometimes, but I’m sure they’ll find a temp who can fill in for me.” At press time, Harper was telling the team he was excited to start in June after returning from rehab for his offseason ACL tear.